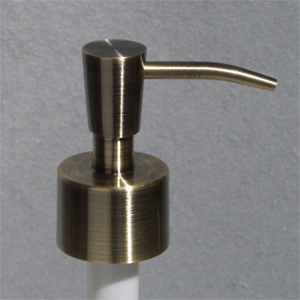 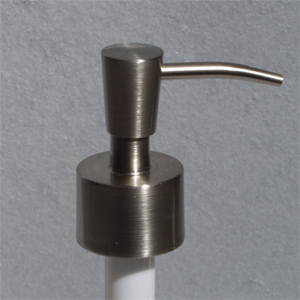 Stainless finish soap pump top, classic style, real metal not plated plastic ! 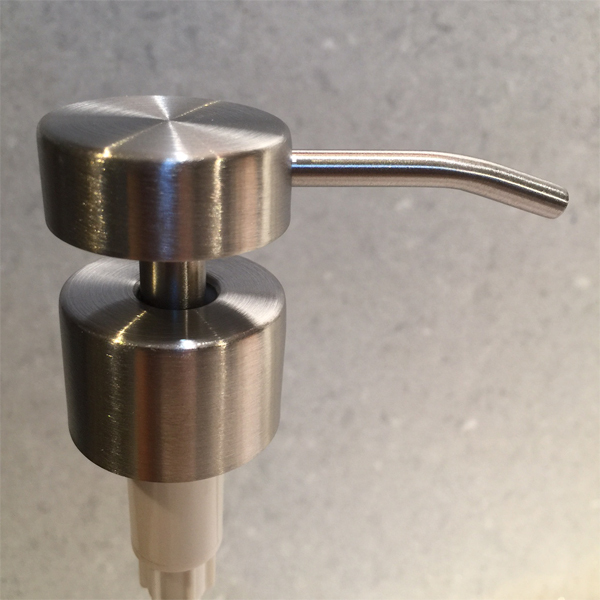 "Inverted Cone Stainless" durable and elegant style. 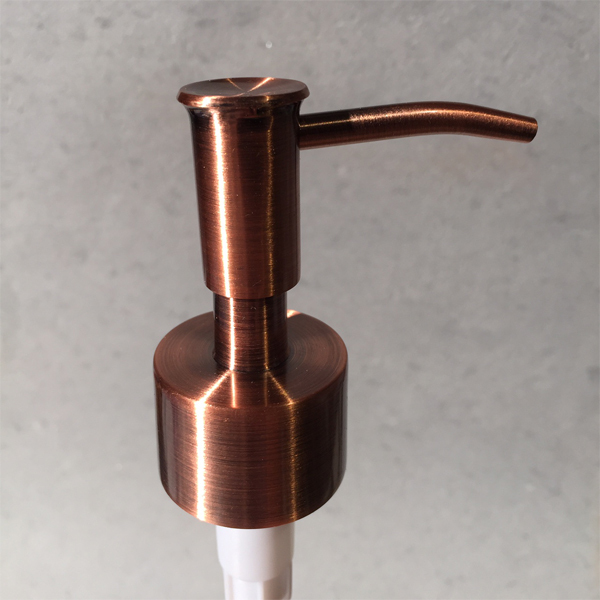 Delivers 2cc of fliud per push. 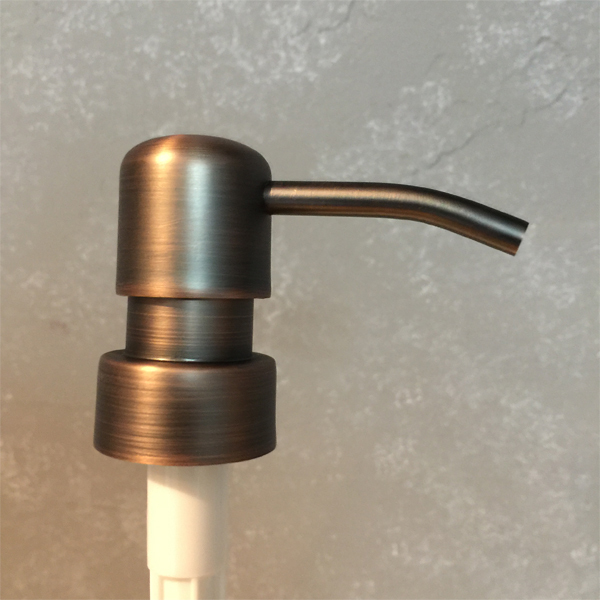 Thread 28/400 tube length is 9" (22.5 centimeters) but can easily be cut to smaller size. 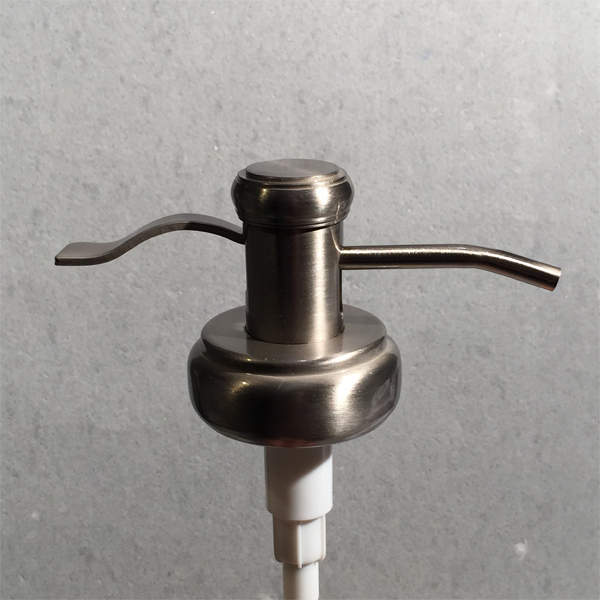 As with all the soap pumps this can replace standard soap pump tops. 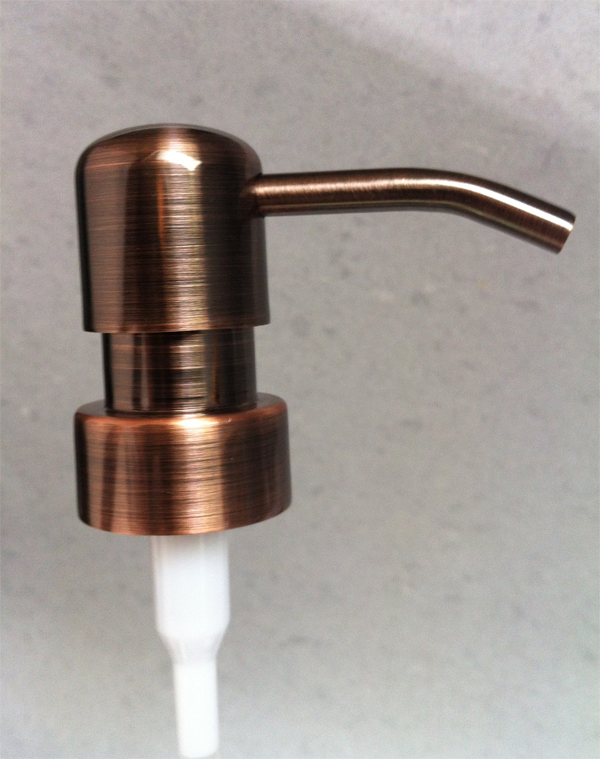 A long lasting soap pump or lotion dispenser top.